Amidst the sluggish sales report of 2018 iPhones, the upcoming smartphone from Apple has been doing the rounds quite a bit. The handset in question has purportedly been dubbed as the iPhone XI and is rumoured to come with several major upgrades. Most recently, the leak reveals the phone with triple rear cameras and slightly smaller notch compared to the current iPhone models, including the iPhone XS, XS Max, and iPhone XR. Now, few hardware details about the next-gen iPhone have surfaced on Chinese social networking site Weibo. The sketchy rumours on Weibo claim that the iPhone XI will feature a display with up to 120Hz refresh rate, found on iPad Pro and Razor’s gaming smartphone. The iPhone models so far have 60Hz refresh rate display; however, on the forthcoming iPhone, it’s rumoured to be between “90-120Hz”. Powering the top-end model could be a whopping 4,000mAh battery, surpassing iPhone XS Max’s 3,174mAh cell. Furthermore, the iPhone XI battery will be backed by a much faster 15W wireless charging compared to the 5W Qi charging on iPhone 8 and iPhone X that was later improved to 7.5W via iOS update. The rumour further reiterates the triple cameras housed in a triangular-formation at the rear panel. The iPhone XI is rumoured to sport a wide angle, super-wide angle, and a 3X telephoto lens. Not only the setup is new, but the telephoto lens is also up from 2X in current Apple iPhones. 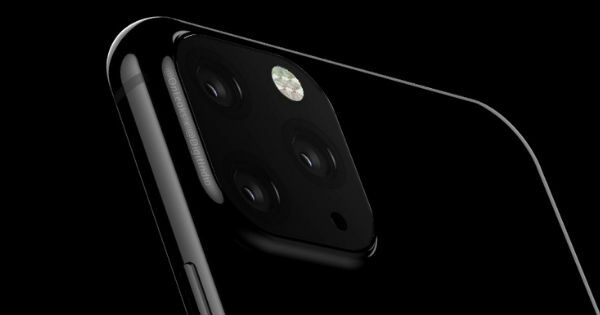 As for the sensors, two out of the triple rear cameras on iPhone XI will reportedly have 10-megapixel and 14-megapixel resolution. On the front, the handset is tipped to sport a 10-megapixel shooter. In related news, the iPhone XR successor is expected to come with a new LTE 4×4 MIMO antenna. This would mean that the handset will offer similar performance in terms of connectivity as the flagship iPhone XS and XS Max. The latter offerings were launched with Gigabit-class LTE 4×4 MIMO (multiple-input, multiple-output) antennas, while the iPhone XR ships with 2×2 MIMO antennas. Hence, the iPhone XS and XS Max deliver slightly better data speed compared to the iPhone XR. Launching its successor with improved antenna band could bring the more affordable iPhone closer in performance and specs to the iPhone 11. That’s all we know so far!